8th edition of this popular, bright and quirky annual soccer records book. 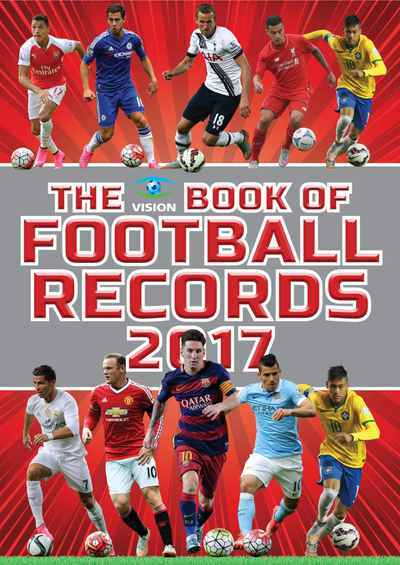 Crammed with records, facts, stats and amazing feats from the world s greatest game, The Vision Book of Football Records 2017 is the perfect Christmas present for football fans of all ages. It includes an entry on every English league team and all the Scottish SPL clubs plus the major European and world clubs from Brazil to Barcelona and an all-star squad of current and former football legends. On top of that there are a whole wealth of fun and quirky entries which celebrate the more bizarre footie facts and records, like the goalkeeper who really did eat all the pies, the team who appointed a new boss based on his record on Championship Manager.